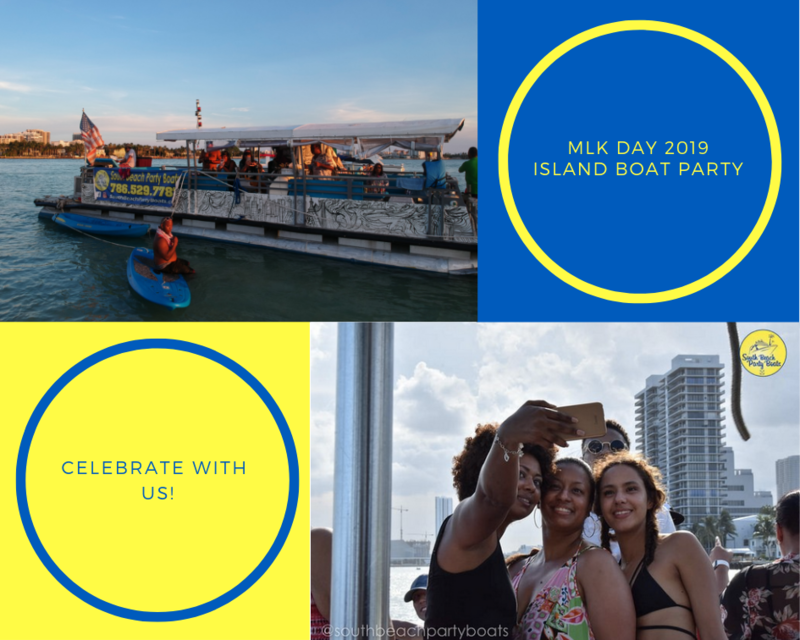 In honor of Martin Luther King Day, South Beach Party Boats will run the Island Boat Party with BBQ, three-hour island party excursions Monday, January 21, 2019, at 4 p.m. 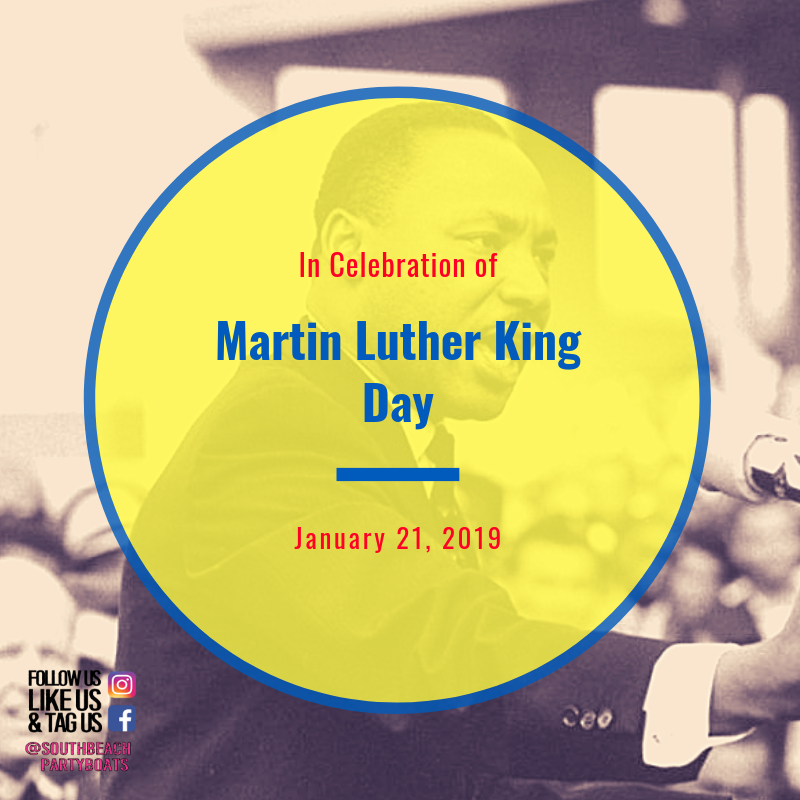 The Reverend Dr. Martin Luther King, Jr. fought for racial justice and equality. He is famously known for his works in the Civil Rights movement, where he maintained that “all men are created equal.” He was died at 39 years old on April 4, 1968. He is honored for his “I Have a Dream” speech. Traditionally, this holiday is spent in the backyard grilling barbeque or a cookout at the local park. Try something new this year and gather your friends for a barbeque and endless beer and wine all while on the water with the Island Party Boat. 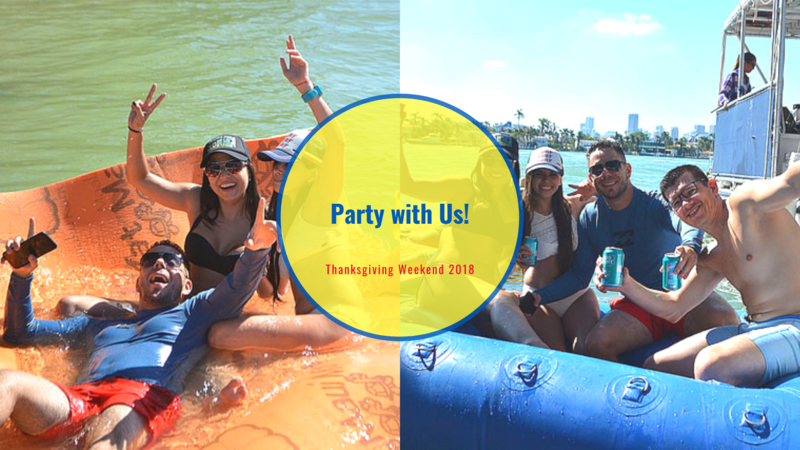 Join the Miami Party Boat team on the Island Party w/ BBQ as there will be all-inclusive beer, wine, burgers, hotdogs, snacks and water toys such as paddle boards, floating water mats, trampolines, music, and a private beach adventure. Don’t miss out! Space is limited and our island parties book up quickly. 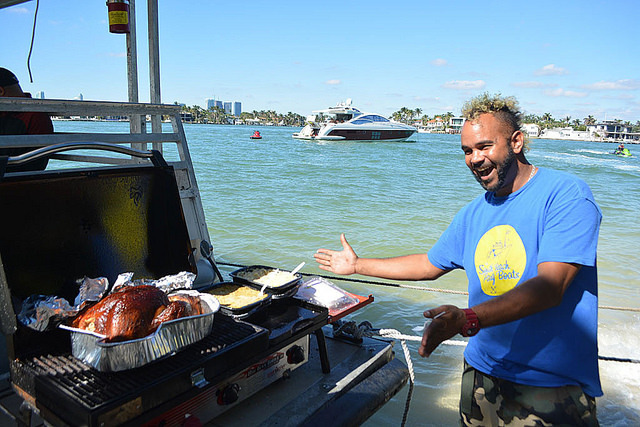 For prices, on the Island Boat Party w/ BBQ, visit the activities page: https//www.southbeachpartyboats.com/activities, or call 786-529-7787. Be sure to have the number of guests that will be attending to reserve. Celebrate and reflect on how far our country has come and be inspired to keep the dream alive! 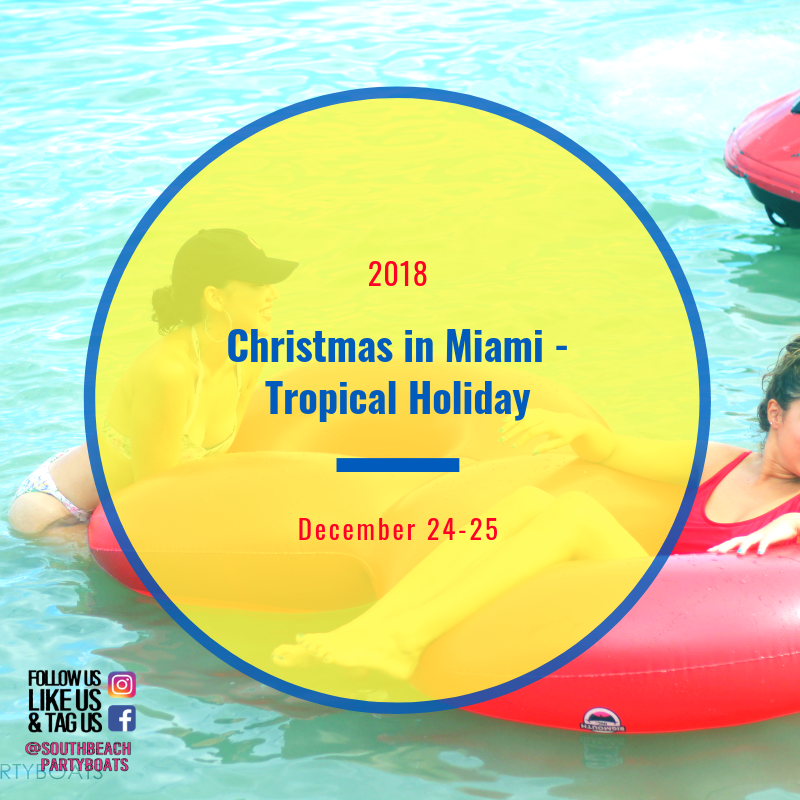 Miami’s year-round tropical weather makes it easy to go for a swim, play water sports, dive in the warm waters, smeel the tropical ocean and palm trees, even on Christmas! On both days, there will be complimentary sodas, light snacks, music, $3 beer and $4 wine to enjoy. Be sure to book in advance to secure your seats. Welcome the all-new Luxury Booze Party Bus #007 – the seventh addition to the South Beach Party Boats fleet. True to its name with pristine interior, the Luxury Booze Bus holds up to 42 passengers. The deluxe amenities include leather seats, wood floors, flat-screen TV, music on surround sound speakers, LED lights, minibar, storage compartments, wood-grain throughout, air conditioned, plus a restroom and tinted windows with privacy blinds for your comfort. Get the elite VIP treatment and Miami night-life experience on South Beach Party Boats’ Luxury Booze Bus! Get ready to impress! Whether you’re throwing an exclusive birthday or bachelorette party, or adding a VIP lounge section to your venue, the all-new Luxury Booze Bus is just what you need to jazz up the scene. Come dressed in your best dress or tux or keep it casual with swimwear and a coverup. 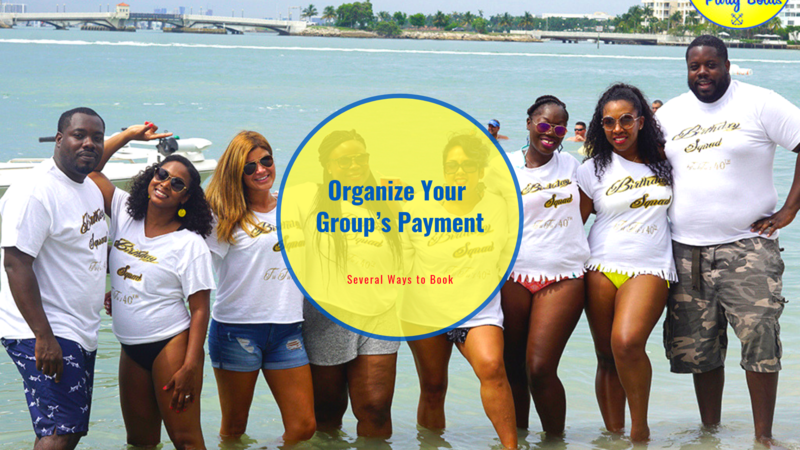 Have your group’s location ready for your South Beach Party Boats rep and get ready to party in true Miami style. Bring your entourage! The Luxury Booze Bus #007 is recommended for South Florida travelers of all-ages! Have a party on wheels while you transport, with no worries about driving after the party boat or nightclub. Keep the fun going on Miami’s only Luxury Booze Bus with full wood grain interior and leather seating. If you’re about it, have the Luxury Booze Bus parked at your location for an eye-catching statement when you and 40 friends step out the door. This is your premier transportation experience to make memories for years to come. The Luxury Booze Bus is available for transportation to South Beach nightclubs, Downtown nightlife, Wynwood, and other hot Miami destinations. Hop on and off before and after South Beach Party Boats’ cruises or rent the Luxury Booze Bus for the night. Arrive like a ROCKSTAR with your whole entourage in tow. To find out more about arranging a ride to and from your party boat excursion on the all-new Luxury Booze Bus #007, call South Beach Party Boats at 786.529.7787. Your guests are in Miami for the wedding. You’re the organizer of the event and in need of something to bring your party together in a new, fun way. Well, we’ve got you covered! South Beach Party Boats offers additional services that will both improve your existing itinerary and accommodate your event. Read along to find out more about the services that will take your party to the next level! To take your wedding party to the next level by allowing South Beach Party Boats to arrange a charter that will best suit your needs. With photography services and special DJ entertainment, South Beach Party Boats takes the stress off of being in charge of every single detail – a party planner’s dream. This allows you to experience Miami Beach in a dynamic way. Although you’ll have to consider whether you want to include these add-on services like photography or DJ entertainment, the itinerary for each trip is customizable include water sports, music, complimentary drinks and snacks to keep the guests having a wavy time. Have a special event or moment you want to capture? Wedding proposal, memories as party souvenirs? Photographers are available upon request to document your event. You can request a photographer by calling (786) 529 – 7787 to discuss party details and arrangements. DJ Speakers on the boat or custom Bluetooth (DJ by request, fees vary). Auxiliary cords and Bluetooth operated speakers are available on each charter. This means you can play your favorite songs or music from your favorite playlist. You can also spice up your party by requesting a DJ. Yes, that’s right! Party up and keep the tunes going by requesting a DJ on your charter. Fees for requesting a DJ varies. Call (786) 529 – 7787 to discuss details on the kind of party you are having. 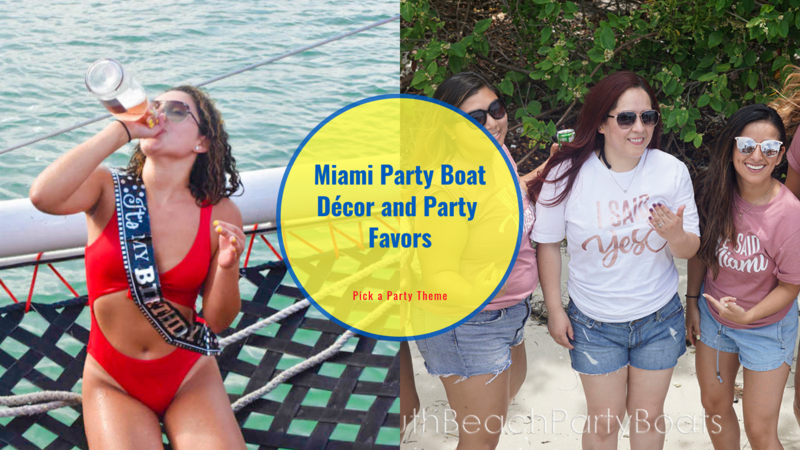 Organizers have a lot of things to consider when throwing a party, which is why South Beach Party Boats has additional services to consider that will enhance your Miami wedding. When you book the Island Party Boat w/ BBQ, Sailing Yacht Party, or Family-Friendly Snorkel & Splash, you are saying yes to water sports, music, and complimentary sodas and snacks. Or try the Star Island or Key Biscayne Sunset cruise for a pre-celebration, reception dinner, or even a post-wedding celebration that the whole group will enjoy. Whether choosing to take it up a notch with a photographer and DJ, the possibilities are endless. 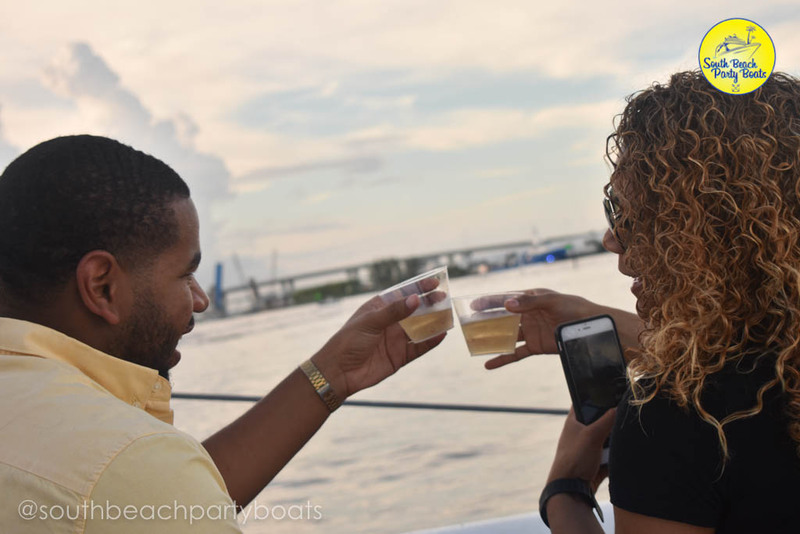 To book an event, visit the activities page https://southbeachpartyboats.com/activities, or call 786.529.7787 ask about requesting the services that’ll enhance your party even further. Hey South Florida! South Beach Party Boats is joining the fun at this years Miami-Dade Heart Walk to help fight heart disease and stroke in our community! 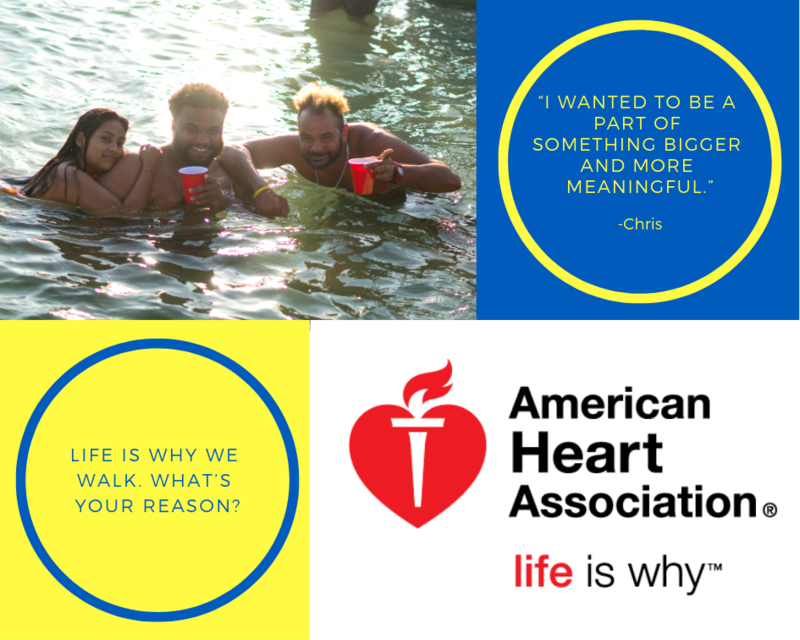 2018 Miami-Dade Heart Walk will be held in Miami, FL on Sunday, November 18, 2018. Donations and sponsors can show their support by visiting the American Heart Association. Help us all raise awareness for a cause. Joining the race will be South Beach Party Boats Dock Master, Chris and his family have been training hard for the cause. The motto for this year is Life is why we walk. What’s your reason? The staff will be there to CHEER you on Chris! Afterwards let’s hop on a Sailing Yacht Party at 2pm or Star Island sightseeing sunset cruise through Miami to relax the evening away. Don’t miss this years’ Heart Walk 2018. 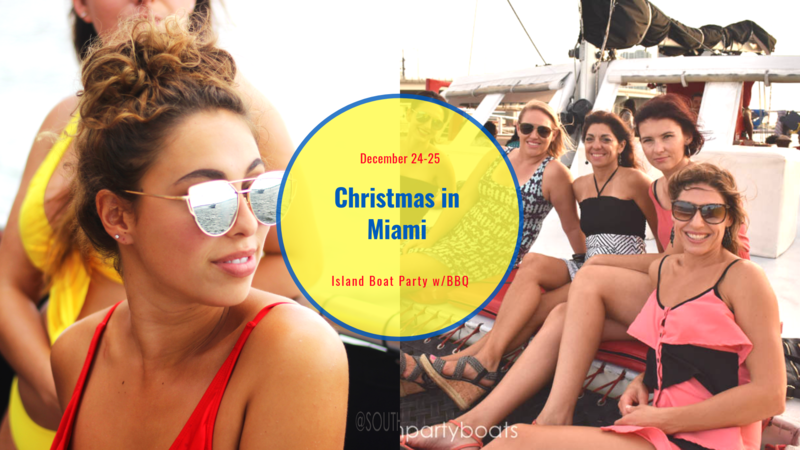 Planning the annual corporate holiday or office party may seem like the hardest event to pull off, but with the following tips South Beach Party Boats has made it easy.. 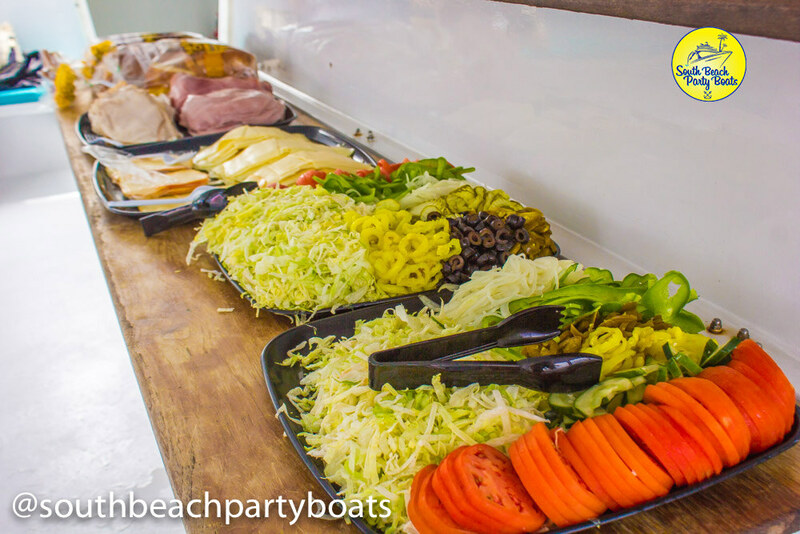 Whether you are planning an office party for the first time, or you are a seasoned veteran, a trip with South Beach Party Boats will take your party to new heights, create lasting memories, leave an impression on your coworkers – making you the office hero! These following steps will help you in the process of putting together an office party that will run smoothly with little to no effort. First things first with planning the office party, is to determine the budget and number of people attending beforehand. 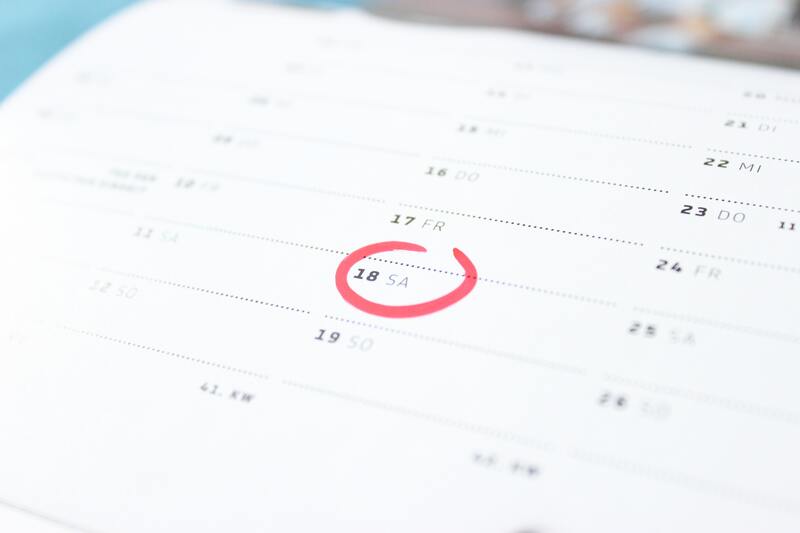 By asking your co-workers for their availability, you’ll decide on a few dates that work for everyone. 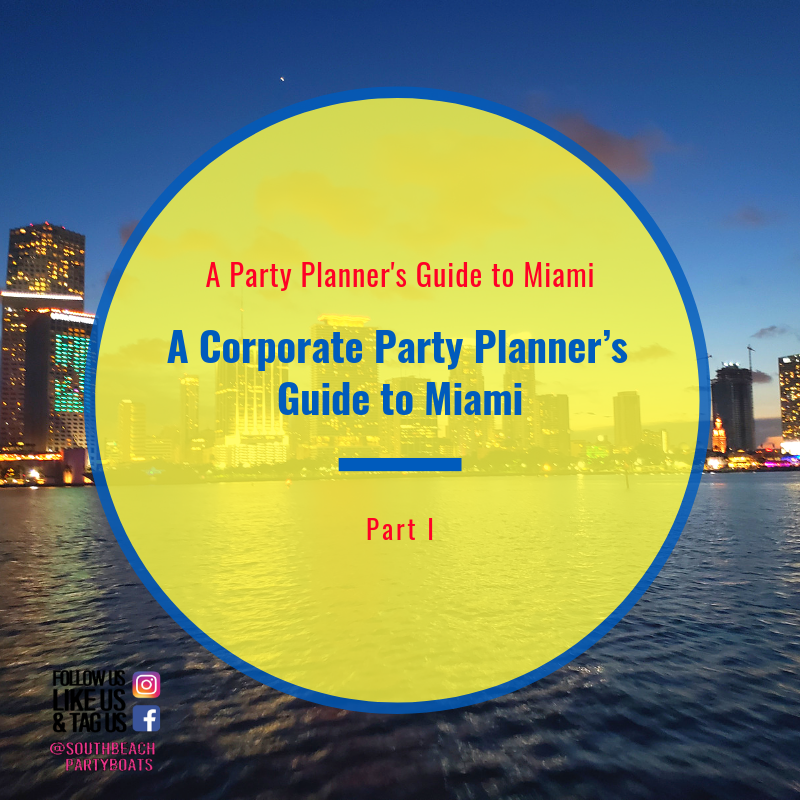 Next step is to have the organizer give South Beach Party Boats a call to confirm which of the proposed dates is available with the charter you’re ready to hop on. It is important to arrange transportation ahead of time, especially if you and your party will be drinking. South Beach Party Boats offers a free complimentary shuttle bus for guests who call ahead of time to schedule transportation. You are also able to obtain a free ride by using Lyft promo code: “BOBBY433341” if you have never used the service before. For Uber, the promo code will be: “UberPartyBoat” for a free ride. The menu is the most important part of the party, so make sure it’s taken care of. With the Island Party Boat with BBQ cruise the menu is already set for you!. You’ll have a selection of grilled burgers, hot dogs, sodas, and unlimited beer and wine with light snacks. Skip the catering process and jump straight into the fun on the Miami waters! 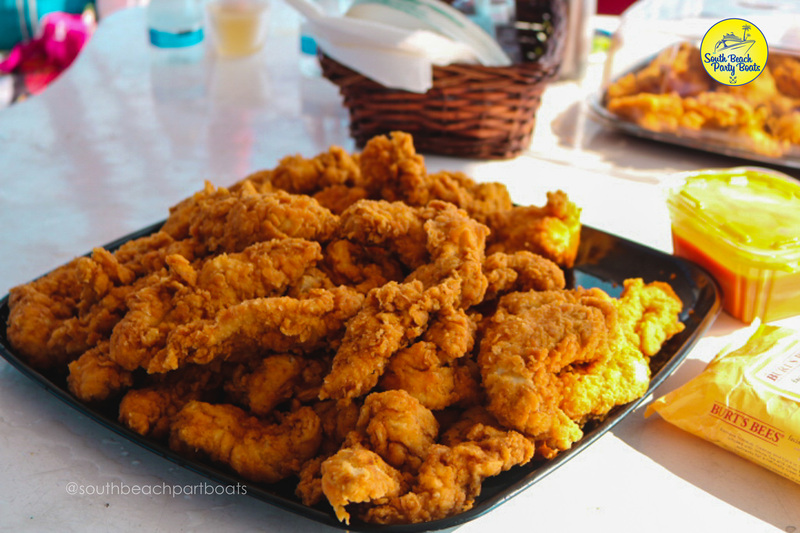 Catered chicken tenders served on the Sailing Yacht Party by request. Another thing to consider on the menus is fleshing out any diet restrictions, which is where the Island Party Boat wins again since it includes veggie burgers, be sure just let your Rep know you’ll have a few vegetarians on the trip. This is a huge corporate venue winner for our Monday through Friday guests. Rather experience #worklife on the water in a sailing yacht? Choosing the Sailing Yacht Party means your coworkers will enjoy the views of Miami, while sailing into the ocean to stop at the sand bar. 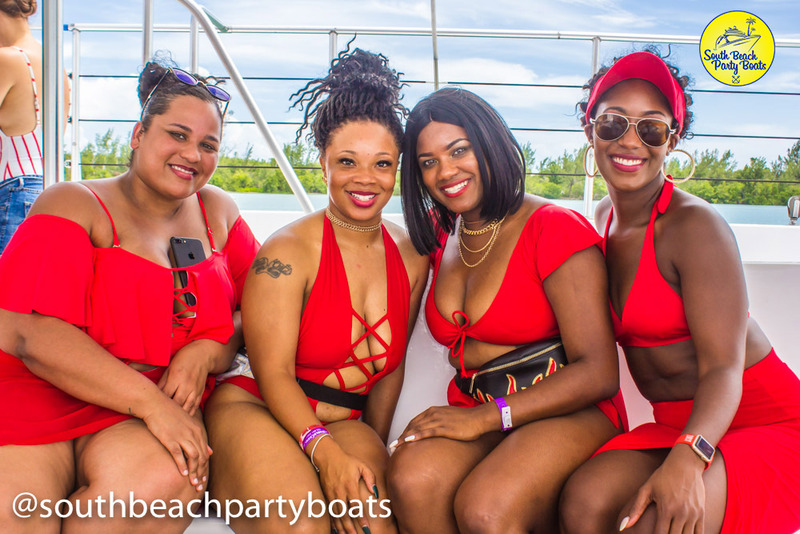 Although light bites and snacks are included with this trip, you can bring your own alcohol, lunch or discuss a specialized catering menu from South Beach Party Boats. 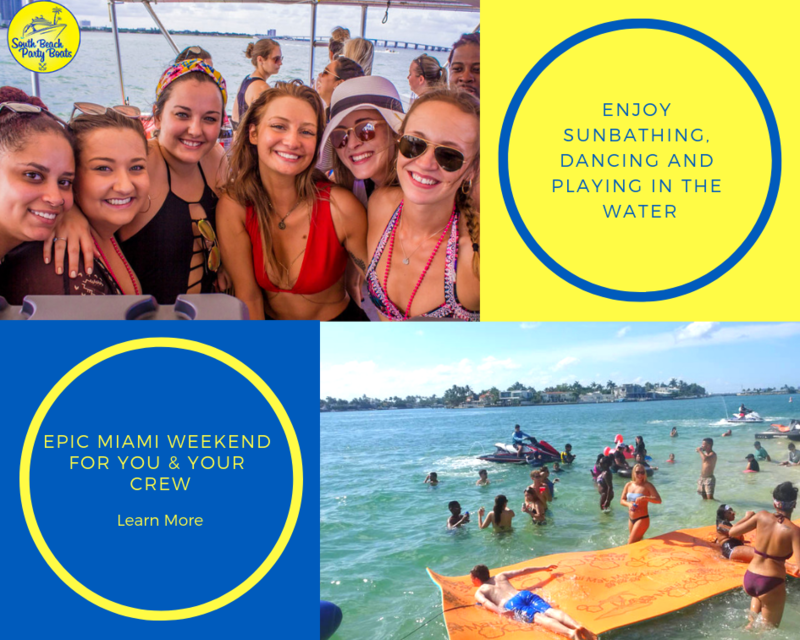 All the details can be done over the phone at 786.529.7787 or check out the full list of Miami water excursions and South Beach Party Boats. Now that you have all the details in planning an ultimate office party, make sure to communicate with your team to be on time. Check-in time and meeting location is always listed in the confirmation email once your trip is booked. Arrive one hour to 30 minutes before your departure time for check-in. A good rule of thumb in South Florida is to assume there will be traffic so with large groups it’s great to give everyone an extra bit of time so you depart on time. The group organizer will receive text or email alerts the day of to remind you of the time and location. Make sure everyone knows to be on time so no one gets left behind on the fun. Once you are all checked in with digital waivers and vessel waivers signed, you and your crew are free to set sail, sit back, party, and have fun. Welcome in the New Year at South Beach Party Boats with a weekend of celebration. 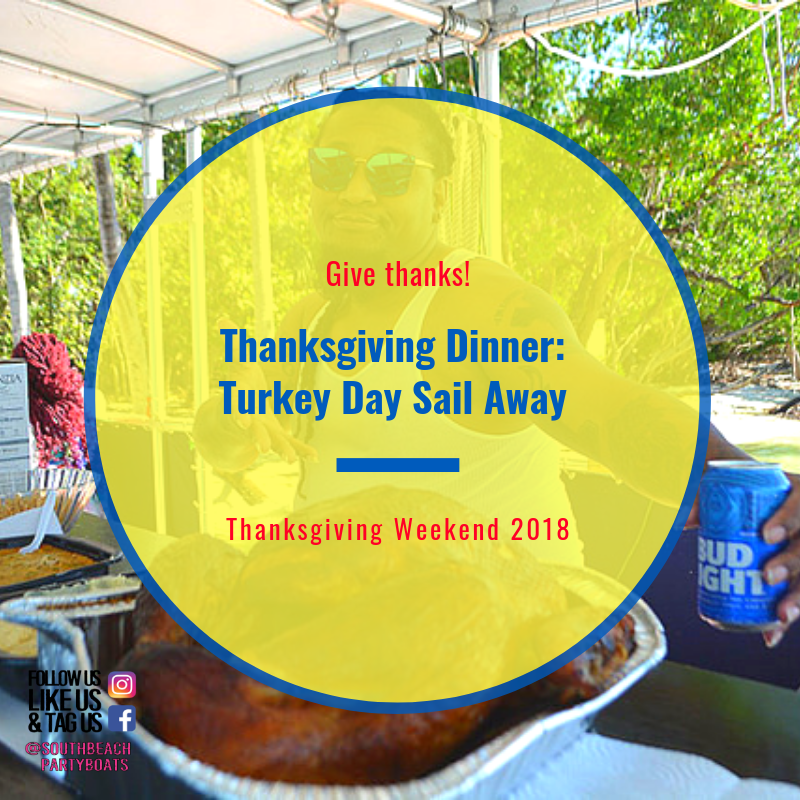 From Friday December 28, 2018 through January 1, 2019 take your pick of enjoying fireworks on the Sailing Yacht, sipping drinks on the Island Party Boat with Barbeque, or cruising into 2019 with complimentary champagne on the Key Biscayne Sunset Sail. Gather your friends to get the New Year’s Eve party started a bit earlier on the Island Party Boat with Barbeque. This is a 3-hour adventure to a private island with unlimited beer and wine, music, barbeque, soda and snacks. South Beach Party Boats offers one of the only All-Inclusive choice of water sports such as stand-up paddle-boarding, water trampoline and a floating water mat. Escape for a moment onto the blissful island, where you’ll have a mini beach adventure all afternoon long. As the sun begins to set, our great sails come out on the Key Biscayne Sunset Sail, where you’ll celebrate the New Year in a calm, relaxing way. 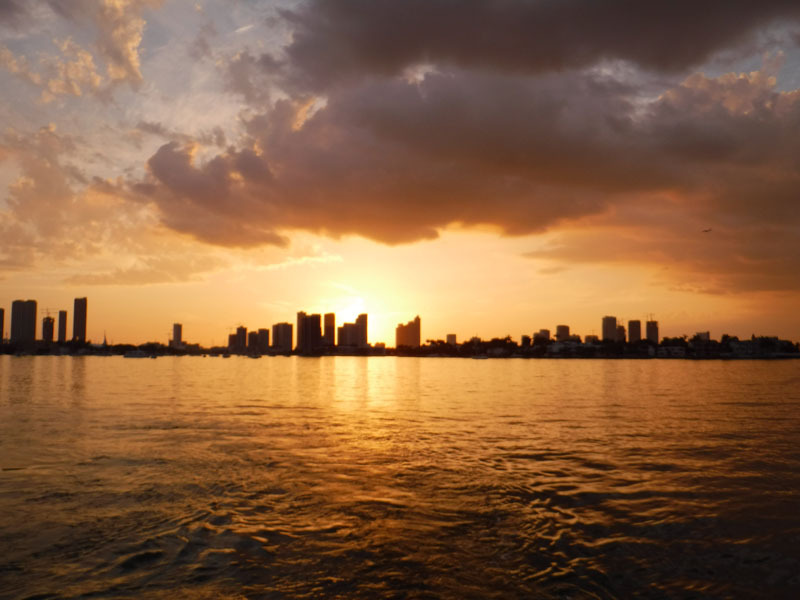 Family, friends, and food are enjoyed while you overlook the horizon, take photos of the beautiful sunset, and a citywide view of the annual Downtown Miami fireworks plus take in special views of the fireworks from South Beach and even as far north as North Bay Village. The sky lights up as you give a toast to another amazing year and get ready for your New Year’s 2019 life goals start with champagne and a toast to the good life on the water. View the beautiful Miami scenery, cruise into the distance, watch the old year fade away as the New Year welcomes itself. Check the schedule for confirmed availability and departure times, check-in is 30 minutes prior to departure. Be sure to plan ahead of time.